We are entering a period of change, greater outside the US than inside, which creates temptation to prediction. Never, ever go that way — stick with describing change. Here, economically anyway, there is only one shift underway and it is misunderstood. The Fed is not going to raise the cost of money inevitably, continuously, or open-ended. The Fed is going to slow the US economy unless it slows on its own. The US economy is growing too fast, unsustainably, and if allowed to continue risks a very unhappy end. Inflation has barely reached 2% target, wages growing modestly, but both are highly likely to be enjoying “stickiness,” the inertia following 18 years of incipient deflation. Once inflation rises out of bounds we know only one way to jam it back in: to throw several million people out of work. 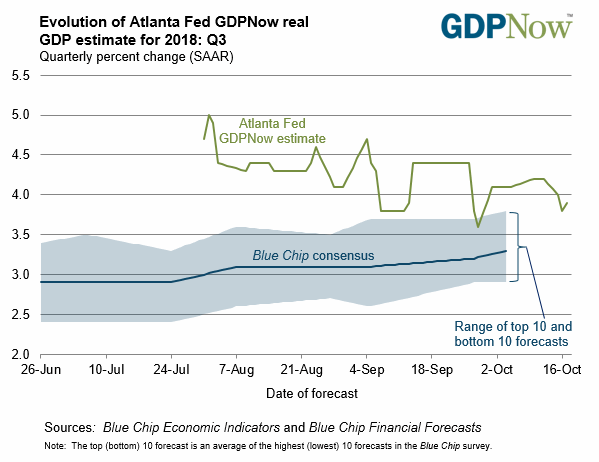 The Fed’s policy is clear if misunderstood: suppress current GDP growth, risk an unnecessarily deep slowdown now, all to preserve the best-possible long-term growth. The economy is not cooperating. Despite financial media shrieking at every off-trend datum, the economy has yet to react to Fed tightening. Housing numbers are ever-so-slightly soft, sales of existing homes down 4.1% year-over-year. Perhaps the deepest US economic change: we have entered a time of land scarcity, and we’re not used to it. Concentric expansion and subdivision has concluded, and we are going to live more compactly especially in urban areas. Single-family homes (really the land under them) are going to become pricier and pricier because we won’t have more. More Americans than not are in the process of adjusting to living densely. One profound social effect: Americans relocate at less than half the rate we used to. The Fed is going to continue to hike until the economy slows by half. 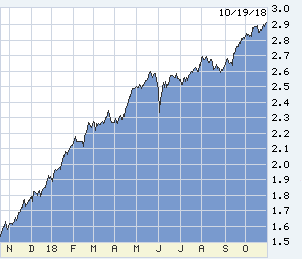 Once there is some sign of slowdown, then an argument about re-calibrating, but the Fed’s quiet discussion now of the possible need to become “restrictive” is entirely appropriate. Domestically, one other pending event is big but may not bring change: the election is 18 days away. If you know how it’s going to turn out, or its effects, do let us know. The election will have no effect on the biggest financial issue facing the country: the crazy-big federal deficit. Beginning in 1980 both parties began to blame the other for over-spending or under-taxing. Yet, repeatedly since then both parties have reached budget agreements raising revenue and limiting spending. The second-biggest financial issue — and possibly economic — is the insane cost of health care. The election may not have effect, but a growing majority of opinion may: by whatever means health care cost must come down as a percent of GDP and income, and everyone must have coverage. In many ways it’s amazing how little change is underway in the US, but fortunately for entertainment we have the outside world to consider. Europe first. Big change coming soon. Merkel’s star has set in Germany, and she and possibly her centrist coalition will be gone. Merkel has been the essential, immovable force holding the Eurozone together by insistence that the rest of Europe will become Germans. Or do as they are told. Emmanuel Macron is failing as all of his predecessors to drag the French economy into global-standard productivity. Political resistance is infinite, as is the idiocy of France tied to the same currency as Germany. Largely missed here in the US, Italy has reached the political end of German austerity, and markets have cracked. 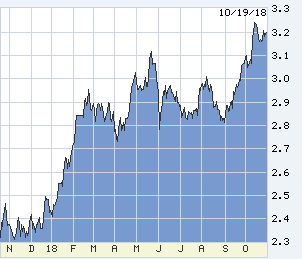 The Italian 10-year bond had traded near 2.00% since the last pan-European crisis eight years ago, until this May. Today, 3.58% and infecting other markets: Spain’s 10s have reached a one-year high at 1.67%, and money fleeing to safety have held German 10s to 0.46% — the divergence in these yields is a euro death-knell. The repeated rescuer of Europe has been ECB president Mario Draghi, whose term ends next year. It is not clear who or by what means a new Italian crisis will be contained. Brexit negotiations are stuck on defining trade across the border of Ireland and UK/Northern Ireland. Since the big war and outside of the Balkans, that border has been bloodiest spot in Europe. In fantastic arrogance and cynicism Brussels rips at that wound, to preserve an oppressive and failing “one Europe.” As backwards as it may seem, it will be good news for Europe and the world as soon as the Eurozone construct disassembles. China’s economics are tough to figure, as it is a criminal offense to disagree with anything the Government says. Once in a while we get descriptive data: automobile sales in September fell 11.6% from one year ago. The renminbi exchange value would be crashing without PBOC measures to hold it up. China has gotten itself out of prior slowdowns via increased debt, but that game is up. The effect of US tariffs, and instability in Emperor Xi’s power dreams… present but unquantifiable. Japan is embarking on another effort to pretend that all is okay, in the earliest stages of trimming BOJ stimulus and letting interest rates rise. 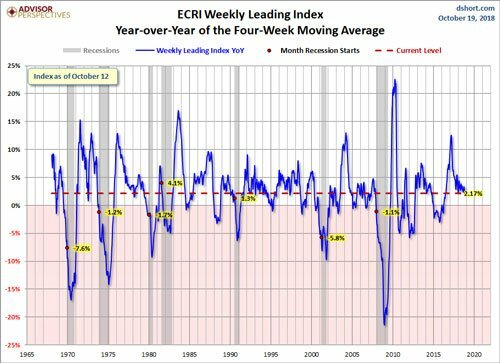 The effect will be similar to all previous tries in the last 30 years: new recession, depth unknown. This Saudi business… take a long view. Since WW II, when Saudi oil began to bring inconceivable wealth to the kingdom, its population has grown from 2.5 million to 33.5 million, far faster than any nomadic culture could build modern social capital. Do not expect modern behavior from the kingdom. Nor an economy transcending oil, nor the kingdom’s budget. The place is more ripe for revolution than any other nation. However, current monarchy or successor, and true for all the Gulf states: all of them must sell their oil. So, try not to make anything worse. Obama tried to distance the US from all Middle East conflict, taking no sides. Trump has tried a Saudi-Israeli coalition to fight Iran. Plan “C”? Sum up. Change brings anxiety to most people and societies. The US is insanely lucky, as we embrace change better than any other place. And every change underway overseas tends to lead to slower economic growth, which makes the Fed’s job easier. No foolin’. Smile on that.